« Thank You, Will. Why We Need You. Today on the bus I saw some teens taking a picture of a stranger they were mocking. I heard, “Dude, this is so going to Facebook,” and “I’m tweeting this now” while one boy tapped his phone. Mockery gone viral. Ah, modern youth: everything’s for posting, and everything’s for comment. For one shining second, each of us can be paparazzi or celeb. Take your pick. Beyond sociological observations, I could classify this scene as a “man versus man” external conflict, or even “man versus machine” for the stranger whose picture was taken unawares by cell phone. Or perhaps, assuming the mockers have a conscience, it’s a “man versus self” situation where someone in that mob asked himself if his actions were right and wrong. With youth in mind, I read YA wondering how well it will fly with teens. In case you haven’t noticed, I’m pursuing my “personal MFA” here, reviewing YA while polishing my novel, How Wendy Redbird Dancing Survived the Dark Ages of Nought. Studies are going swimmingly. Besides wondering how today’s kids take these reads, I take my own pulse–what’s my taste?–while weighing the craft of many talented authors–how well does characterization, plot, setting, style, etc, work? After defending himself against a bully who attacks him during his first week of high school, Charlie notes without any particular worry, “Some kids look at me strange in the hallways because I don’t decorate my locker, and I’m the one who beat up Sean and couldn’t stop crying after he did it. I guess I’m pretty emotional.” Even with the frequent crying, it’s as if there’s a thick rubber curtain between Charlie and us; his emotions bat against it and sometimes, creep around the barrier, but the time they get to us, they’re muted, enervated, distilled. So naturally, I wanted to know what was up. I kept reading to find out what this boy’s issue was. I knew his best friend had committed suicide before the novel began. I knew Charlie had lost his Aunt Liz to a car accident. From a great distance Charlie offers brilliant observations about the worlds around him–that of his family and then very slowly, new friends he manages to make, and then the girl he secretly loves. Friends treat him with kid gloves, like a breakable toy they play with or a small child they’re teaching the ropes. The entire novel I wondered if at the end we’d learn Charlie is on the autistic spectrum. We can only speculate what Charlie’s psychiatrist visits are for, though I agree all along he needs them. I liked his differences that touched every relationship he forms–whether with his English teacher or other students–because you sit on the edge of your seat wondering if they will abuse him or take advantage in some way. But people find him charming–particularly two seniors who become his constant companions–and his teacher feeds him advanced reading all year. With the help of these “normal” people who all struggle with various issues of their own, Charlie can come of age in a somewhat normal way, learning how to make friends and survive classes and join the community. The friends have dramas that Charlie reports on as if embedded with the troops but not quite moved: cheating boyfriends, questions about sexual identity, and drug and alcohol use. Their dramas filter through Charlie’s insulated perspective, we need to see how their train wrecks will turn out. But I had no idea that Charlie suffers from a past trauma of sexual abuse. He cries often, and as the book progresses, suffers a few breakdowns, even catatonia. He discovers masturbation at a fairly late date, age 14, so maybe that was a clue. But it’s not till the final pages that we learn of the abuse that fueled his current behavior and sadness. We also never learn who he’s been writing all this time. And so Charlie, a character I’d cared about, deflated for me like a balloon. All that rubber insulation had to pay off in some way, but not with this neat diagnosis, this tied-in-a-bow ending of a hospital stay. I liked the story, but I wasn’t moved. Obviously, if I made it to the end, the work was a success, correct? But Charlie’s internal conflict is hinted at only via smoke signals–Charlie versus his buried pain–and even with his odd actions of writing to a stranger, his clinical observations about fellow humans, and the bouts of crying, I didn’t learn enough to expect such an ending or even suspect who turns out to be the actual perpetrator (Aunt Liz). I realize that trauma goes underground. I realize that Charlie is giving us hints all along of PTSD. I don’t doubt that his character is quite possible and that his experience probably speaks to many readers. The goal of this novel is not to explore the terror of his flashbacks or his work with the counselor where we might descend into myriad labyrinths and never emerge. 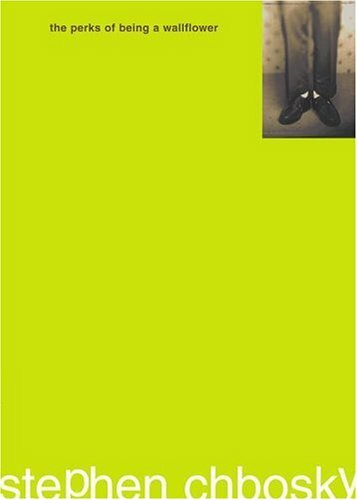 The novel aims to tell us the perks of being a strange, withdrawn boy who somehow manages to cross his own barriers, however unexplained to us. By “tease,” I mean that if Charlie can’t tell us what’s up, then someone, maybe the surrounding characters, maybe elements of setting, must tell us somehow. Or how about the recipient of the letters? I know that Charlie leaves no return address–a clever way to ensure no contact–but why not let that plot be foiled? Lush by Natasha Friend has a similar premise of writing to an unknown person, where a girl with an alcoholic father and family chaos leaves messages for a stranger in a library book. But the stranger writes back, and Samantha the protagonist evolves. The mystery (AKA the tease) morphs into a conflict and complication for her character. We as readers feel rewarded for our time spent in anticipation, confusion, and wonder. I find myself doing the same thing Perks does in my own novel: starting down a path and not finishing what I began. In my revisions, I’ve looked at the secondary and tertiary characters and asked, What’s the consequence of their interactions with Wendy? What’s the pay-off? For all actions there must be an equal and opposite reaction, if I may dare create a physics formula for fiction; there must be that gun going off…wait, I just plagiarized Chekhov. You write a stranger, we need to see that stranger’s face some day. You act strange, we need to know why, or get some hints that are stronger, more helpful, long before the last few pages. Give me a chance to build a thesis about Charlie’s internal conflict at least–and then fine, blow it out of the water like any good mystery novel, but give me a fighting chance. I still recommend Perks. Do pick it up. See if you felt satisfied or thwarted. I felt some of both. — If an internal conflict is the essential drama of man versus self, what types of feelings and beliefs cause these struggles? What aspects of self do humans struggle with? — Have you ever experienced one of these internal conflicts: self versus love or lust you don’t want to feel? Self versus physical pain and suffering? Self versus addiction? Self versus grace or forgiveness? — Of all the types of internal conflict a character faces, which is most interesting to you? — How clearly does a character in a story you’re writing manifest his or her internal conflicts? — How do you manifest your internal conflicts? — What topics are taboo for your writing? Aren’t taboo? Can your characters explore anything? I remember that our friend Doris Betts warned me about overly teasing the reader. Leaving enough ambiguity to allow the reader to participate and simply teasing – it’s a tightrope walk sometimes. Yes, and the balance of astute showing that doesn’t insult the reader’s intelligence with helpful telling that guides the reader where s/he needs a light…ah Revision! You’re a tough mistress who keeps us busy our whole lives.